Do Concrete Homes Cost More? Whether you're a builder who wants to offer customers the superior qualities of a sustainable concrete home or a buyer who wants to save money and conserve resources by living in one, here are six important action steps you should take to attain your goals. Before embarking on the home design process, establish your environmental priorities and level of commitment, suggests Green By Design author Angela Dean. Do you want to save money and resources by using fewer building materials? Do you want to achieve greater energy independence? Or do you simply want to create a healthier living environment? Dean recommends listing your goals in terms of budget, aesthetics, function, health, enjoyment, and environmental stewardship. Visit a variety of online resources to learn more about green building and the role concrete can play. Also research other environmentally responsible building materials that require little maintenance, don't need frequent replacement, and can be reused, recycled, or disposed of inexpensively and responsibly. One excellent online resource is the GREENGUARD Environmental Institute, which has lists of certified low-emitting interior products and building materials broken down by product category. Properly orienting a home in relation to sun exposure, wind patterns, mature trees, water resources, and drainage flow can make a huge difference in optimizing performance. When meeting with the design team, make an effort to capture natural energy flows, evaluate potential hazards, connect to the community and services, design with sensitivity, and preserve and enhance natural assets, says Dean. There are more than 20 brands of ICFs in North America, each with some variations in design, composition and performance. What ICF product will best suit my specific needs? ICF systems offer an integrated approach to residential construction and should be evaluated in terms of their overall performance rather than individual components. Does the system meet the prescribed residential building code requirements in my area? Final approval of your home design will be up to local code officials. What is the price of the system, and how quickly can the forms be delivered? Does the manufacturer have a technical department to assist with specific design issues? Does the company provide onsite support during form installation? Is a warranty offered for product defects and, if so, what are the terms? Make sure the type of materials and systems you plan to use to achieve your goals meet the prescribed building code requirements in your area. Because approval of the home design will be up to the local code official, establish a relationship with that person early on to discuss your plans. The more experience residential builders gain working with ICFs, the more efficient they become at assembling them. ICF contractors report that their costs drop sharply after they have built four or five concrete homes, according to PCA. 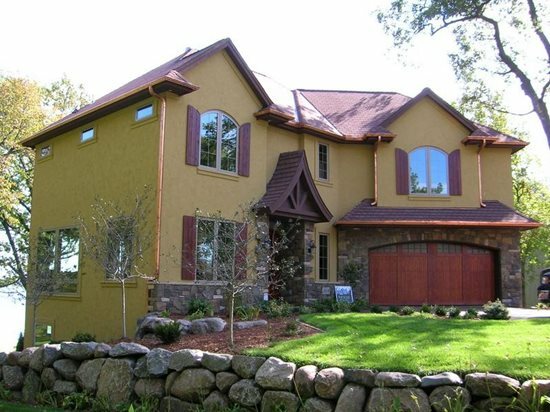 Contractors well-trained in ICF installation can also build an ICF home in about the same amount or even less time than needed to build an equivalent wood-frame home. Most manufacturers of ICFs can provide extensive information about their products and steer you to contractors who have experience installing their systems. You can also contact your state concrete association for a list of contractors experienced in building concrete homes or find a concrete home contractor through the Concrete Network by filling out this form. Use the Concrete Network to locate ICF suppliers in your area or search the database of the Insulating Concrete Form Association (ICFA) to find distributors and manufacturers of ICFs, experienced ICF contractors, ready-mix producers, designers, and even mortgage lenders that offer reduced interest rates for energy-efficient homes. It's also important to hire an HVAC contractor who has experience sizing heating and cooling equipment for energy-efficient ICF homes. 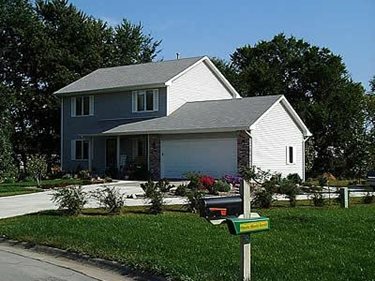 Contractors unfamiliar with the thermal qualities of ICF construction tend to install equipment sized for a less energy-friendly wood-framed home, which means you could end up with equipment that's larger and more expensive than necessary (see Optimizing the Energy Efficiency of an ICF Home). If there's a local green home building program in your area, contact them for guidelines and assistance. The NAHB Research Center has created a set of model green home building guidelines for mainstream home builders. Learn more about National Green Building Standard Certification.